The Kopaszi Dike, in Hungarian known as Kopaszi Gát, is a beautiful area near theLagymányosi Bridge in Budapest. The area was earlier a messy place full of garbage and not a nice place for relaxation, but is has recently been renovated and now it is one of the nicest places in Budapest for a nice walk, or simply to relax. As you walk around on the Kopaszi Dike you can see the Danube on one side, and on the other side you can see the Lágymányosi Bay. At Kopaszi Dike there is a large parking lot for cars, so it is easy to park your car, and go for a walk from there. You can find a disco here, several restaurants, pubs, toilets, playgrounds for children and lots of green grass where you can lay down and relax for some hours. 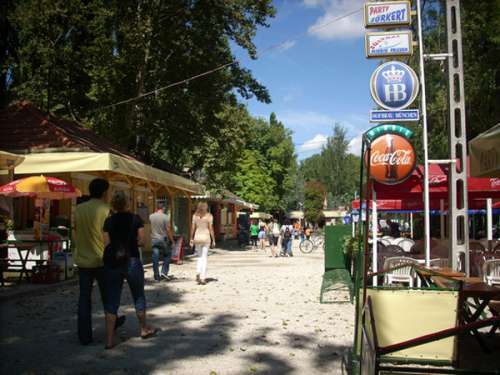 Among the most famous restaurant here you can find Vakvarjú Beach, where you can eat “hekk”, very popular fish among Hungarians, and other typical Hungarian courses. We can warmly recommend everyone a trip to the Kopaszi Dike, or the Kopaszi Gát, it is well worth it! Romai Part is a charming riverbank in Budapest's District III. 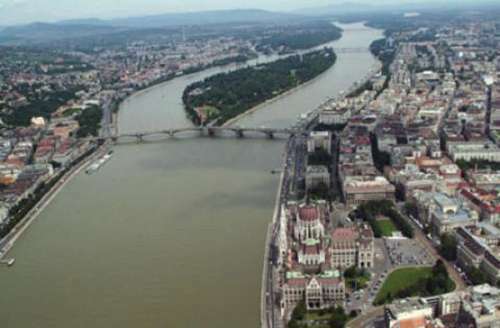 It is a popular place for dining, strolling around, riding your bicycle, renting a kayak or a boat and sailing along the Danube. There are lots of terrace restaurants where in summer locals enjoy the cool breezes of the Danube as well as Hungarian summer delicacies such as langos, palacsinta (pankakes) and fried fish (hekk). If you are willing to spend an afternoon as a local and with locals, come to Romai Part. Alternatively, you can go by boat, public boats operate from April to October, you can take the boat at Batthyányi tér dock and get off at Romai Fűrdő dock. To get back to the city check the timetable at Romai Fűrdő dock. A serene oasis in the heart of a bustling city in the embrace of the Danube. The island is lined with romanic walkways, flowery growes, old ruins. 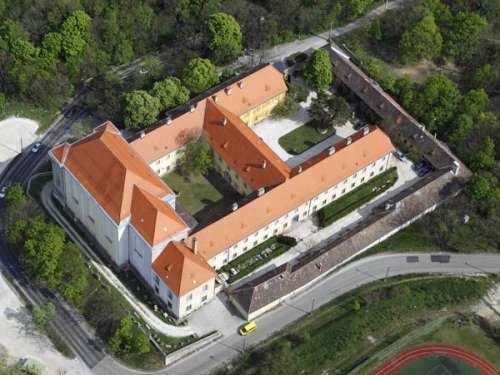 The island received its name after Princess Margit, daughter of King Béla IV. who rebuilt the country after the Mongol Invasion in the 13th century. The open-air theatre stages opera and ballet performances in summer. 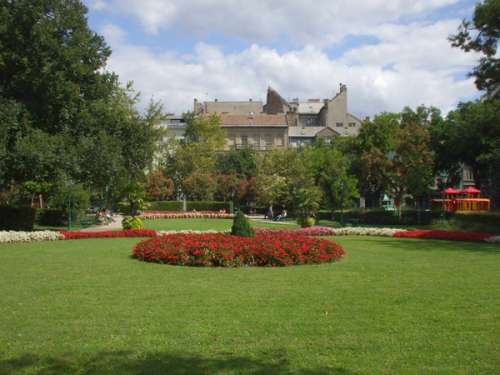 Városliget (City Park) is the largest of all Budapest parks attracting many people on weekends. It stretches behind Heroes' Square on cc. 100 hectares/cc. 250 acres. In nice weather you can devote a whole day to City Park because it has many attractions both for adults and kids. 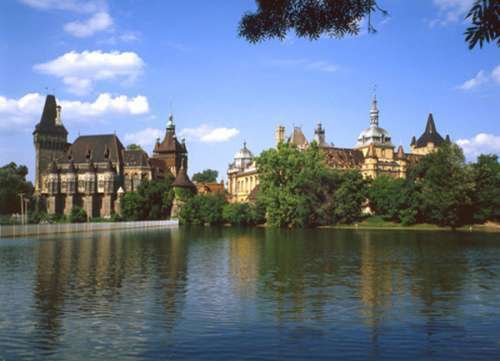 Vajdahunyad Castle is an iteresting architectural monument built for the 1896 Millenary Exhibition. The castle houses the Hungarian Agricultural Museum. The City Park Lake is great for rowing in summer and ice skating in winter. 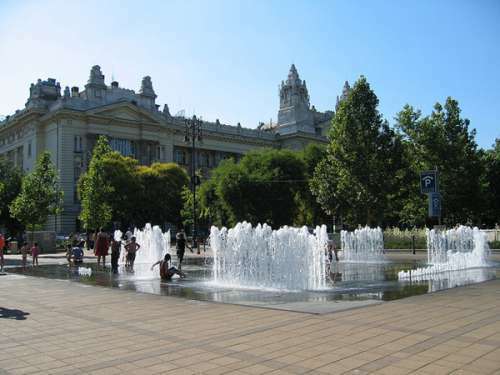 Other attractions in the park: Budapest Zoo, Széchenyi Baths, Amusement Park,Transport Museum. You'll also find a few nice restaurants in Városliget. You can see this steep dolomit rock with the Statue of Liberty on its top from almost every point of the city. Walkways meander up the hilltop to the Citadell. Take your time to walk up and admire the splendid parks and groves and breathtaking panorama. 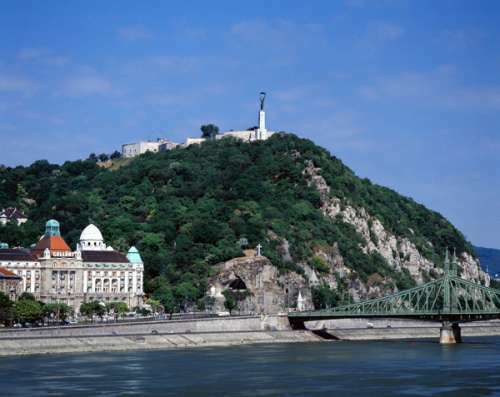 See our photos about Gellért Hill taken during a summer excursion. 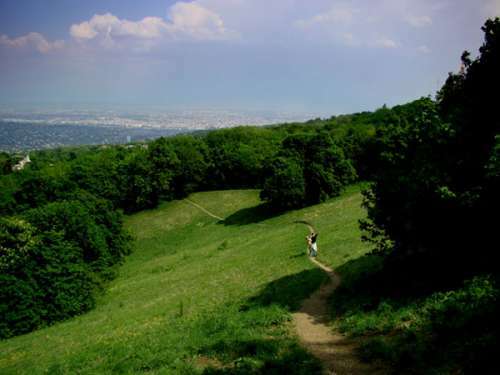 The gentle slopes rising on the right side of the Danube entice you for hiking. If you're with children go up the hills with the Children's railway. First take the cog-wheel railwayfrom its Városmajor termini opposite Hotel Budapest (near Moszka tér, M2 metro termini). Not far from the upper terminus is the Children's Railway that'll take you along a 12 km scenic ride. Many parts of the Buda Hills are nature reserves, like the Budakeszi Vadaspark(game reserve) with live animals. Other attarctions of the hills are: playgrounds, lookouts, caves. 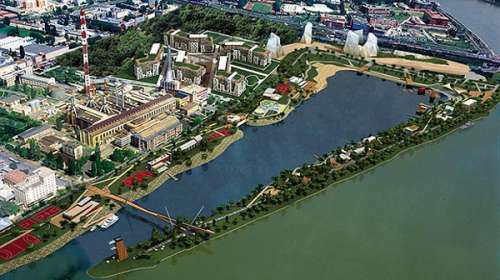 It occupies an area of 112 hectares/300 acres in south-east part of Budapest. 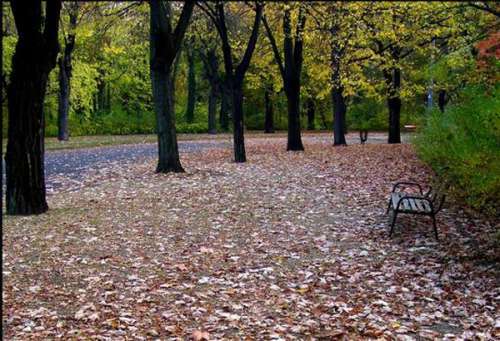 It is not as popular for strolls as City Park or Margaret Island though nice paths run accross the park lined with trees, shrubs, flowers and some statues. The Planetarium stands in this park, in the dome of which spectacular laser shows accompanied by classical or pop music provide nice enetertainment. 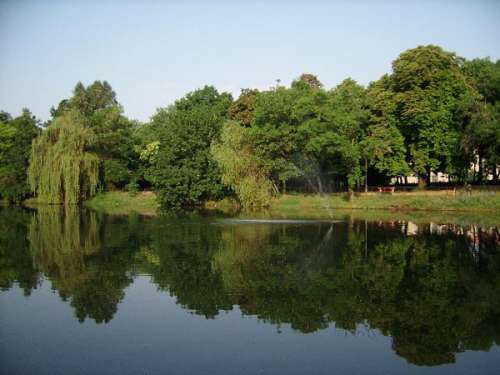 This charming park lies behind the Classicist Károlyi Palace (Károlyi utca 16.). The garden is a home to some rare plants like the honey locust, Caucasian wingnut, silver poplars, horse chestnuts. These stately trees were probably planted at the beginning of the 19th century. The Károlyi Palace provides shelter from the traffic and noise of downtown Budapest that's why the park is and ideal place to relax after a walk in the city centre. It's best to take a walk in the garden after visiting the Natural History Museum next door. Many old trees provide shade in the garden; oaks, horse chestnuts, ash. Behind a small lake stands a memorial of the Hungarian soldiers died in the two world wars. Although the park is a bit neglected it's still a nice place to take a rest. In theKiscell Museum you can see exhibitions about Budapest's history with photo, textile, ceramics, furniture collections. This is a brand new garden one the biggest green area developments of the last couple of years. Fountain and water steps, a nd a pool with glass bottom refresh the air. Under the park operates the Gödör Klub cultural centre with art exhibitions and music programs. Two Luxury Budapest Hotels the Le Meridien Hotel and Kempinski Hotel stand at Erzsébet Square. St Stephen's Basilica, Budapest's largest church is also just a short walk from the park. Grandiose buildings of high architectural value flank the square: the Art-nouveau National Bank and the building of the Hungarian Television. The Us Embassy is at Szabadság tér too. In front of the embassy's building is the Memorial of the Russian Army (the meeting point of the former Western and Eastern blocks). A nice playground attracts kids with various toys. The oldest botanical garden in Hungary (founded in 1771) gives home to around 7000 plants including 150-year old orchides. The garden was an important venue in the famous novell, Paul Street Boyswritten by Pál Molnár. The Palm Huose (built in 1866) is the habitat of tropical and subtropical plant species, cactus, orchides, bromelieas. The neo-Classical administration building is also worth looking at. 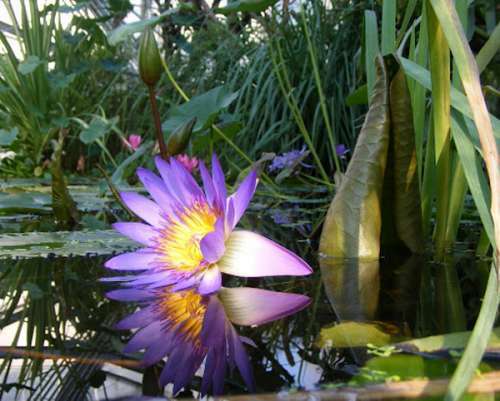 Although when you visit the zoo the animals are the main attractions but spare some time to drop in the botanical garden housing around 2000 different plants.